(Dec. 2018) How Much Is a Hoverboard? Prices [REVEALED] + More! There is no doubt that hoverboards are the favorite mode of transport of our generation. But just how much, exactly, do hoverboards cost? How much do you have to spend to get a good one? Let’s investigate the current price markets, and find out what the best bang for your buck is. If you really dig around, you can find hoverboards for as low as $180 online. But what exactly do you get for your money? While everyone loves a great deal, sadly these extremely inexpensive hoverboards are dangerous. Remember all the news of hoverboards exploding or catching fire? This is because a few questionable manufacturers started cutting corners and using extremely inexpensive batteries and charging circuits that wound up being dangerous. Now, it’s possible that you could get lucky and pick up a hoverboards that doesn’t catch fire. However, it should be noted that hoverboards are now legally required to be UL certified. There a lot of questionable websites that say their boards are UL certified, when really they are not. The easiest way to tell is from the price. Just the battery and charging circuit alone cost $150. If you see a manufacturer who sells their hoverboard for under $200, you can guarantee they are using improper batteries. These would never pass the UL certification. Our recommendation? Save your money and purchase a safe product. 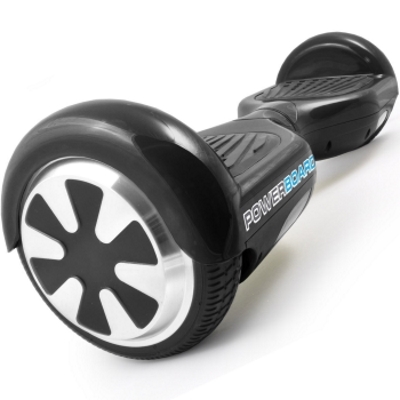 Now you’re getting into the price tier that has a number of high quality hoverboards available. In this price tier, there aren’t necessarily going to be a lot of bells and whistles. However, you can still find a board that is durable and fun to ride. 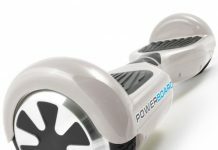 What’s the best hoverboard in this price range? Our personal favorite is the Powerboard. While many hoverboard manufacturers decided to focus on making a product that just looks good, the Powerboard actually performs well. It’s rare to see a hoverboard in this price range that doesn’t cut any corners, but when it comes to reliability the Powerboard checks off all our boxes. It’s incredibly reliable. The motors perform well both on flat ground and on hills. The battery has a very long life, lasting up to eight hours or 12 kilometers, whichever comes first. It’s not the fastest hoverboard on the market, but it’s very easy for beginners to learn. Even more importantly, you’re not going to get a board that performs disappointingly. The board cruises around at a consistent speed, tackling inclines and bumps with ease. If you’re a beginner, we can’t recommend the Powerboard enough. In the middle of our price bracket, you get something that is just as reliable as the Powerboard bit with a few extra features. While the Powerboard is very easy to learn how to ride, advanced users are going to want something with a little more oomph. Mid-level hoverboards will either be higher performance right out of the box, or they will have variable speed motors that let you choose how response you want them to be. You can expect quicker turning an better speed when travelling up an incline. 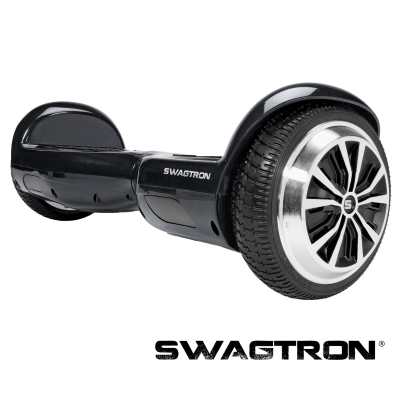 As far as all of the midrange hoverboards are concerned, our personal favorite is the Swagtron T1. 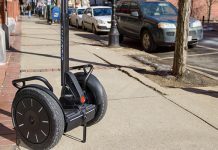 Why Do We Love The Swagtron T1? 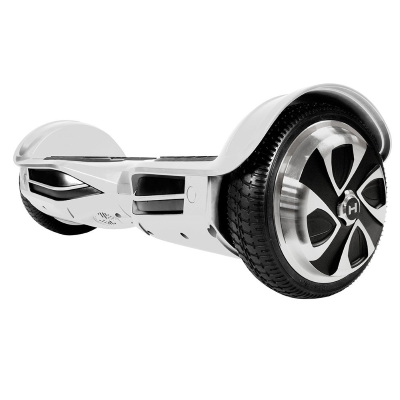 The Swagtron T1 has everything we like to see in a midrange hoverboard. The first thing you’ll notice when you step on it is just how much zipper the motors are. This allows the board to whip up hills with ease, and the controls are extremely responsive and enjoyable to use. Normally we don’t recommend such a powerful hoverboard to beginners, but the swagtron T1 includes a switch on the bottom that allows you to select between beginner and expert mode. In beginner mode, it responds similarly to the Powerboard. But expert mode is a whole different ballgame. In expert, just the smallest suggestions allow it to respond instantly to your feedback. 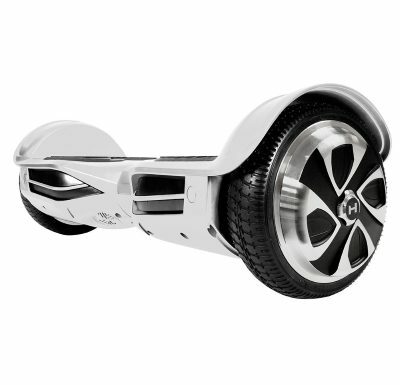 You’ll be whipping around obstacles and pedestrians like a madman as you fly down the road at 8 MPH. The range is also significantly improved, allowing you to travel for an hour and a half straight at top speed. In this price range, you’re getting into the “no expense spared” territory. 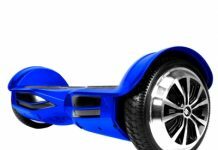 Hoverboards in this category tend to have tons of extra features, look great and perform very well. You’ll also find products that go well beyond the typical hoverboard design and offer features that are not commonly found in typical boards. Do to the diversity in this category, we can’t select just one of our favorites. If you’ve got a bit of cash to burn, we’ve got a couple options for you. You can tell at first glance that the Hoverzon XLS is one serious piece of kit. The design is incredibly eye-catching. But if the flashy look isn’t enough to turn heads, the built in Bluetooth speaker certainly will. While the Swagtron T1 had two different speed modes to choose from, the Hoverzon actually has three. You can choose from beginner, advanced, or even extreme mode. Extreme mode is buckets of fun if you just want to goof off and pull tricks, although it may be a little intense for day to day commuting. For that, we recommend advanced mode which will still provide you with an excellent speed, although with a little more relaxed steering mode. 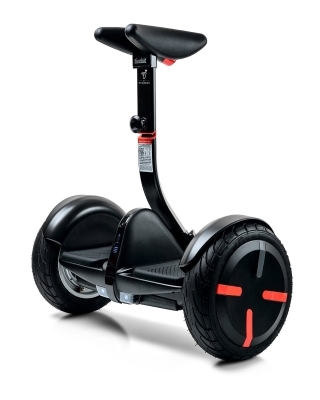 The Segway MiniPro is right at the top of our price range, but there is good reason for it. The minipro uses a unique steering system that allows the device to navigate using your knees. Riding it feels more like leaning in one direction or the other instead of tilting your feet. This is perfect for offroaders because your feet tend to bounce around. Trying to ride on a dirt road with a standard 6” hoverboard is a sure way to send yourself flying into the nearest ditch. With the MiniPro, however, these conditions are a dream to ride on. The board is also capable of travelling over twice as fast as a standard board, and for twice as long. This makes the MiniPro perfect for people who want a serious way to commute. What’s the biggest complaint about hoverboards? Well, the name can be a little deceptive. They don’t actually hover. If you’ve got the itch to soar above the ground, well you’re in luck. Because there are companies out there that make actual hoverboards. Unfortunately, they’re either not on the market yet or they’re extremely expensive. There are currently two option for real hoverboards. The only one that’s currently on the market is the Arcaboard. Retailing for roughly $16k USD, it costs about the same as an economy car. But once you understand how it works, you’ll be amazed. Inside there are 36 high capacity fans that launch air at the ground. Inside, there is an advanced stabilization system that keeps the board level at all times. You can use your phone to navigate, or if you’re really daring turn off stabilization and use your feet to steer the board. While real hoverboards might be something we will come across in the future, for now we’ll probably have to settle for the wheeled type. No matter what your budget is, be sure to follow our hoverboard guide to make sure you get the best deal possible.